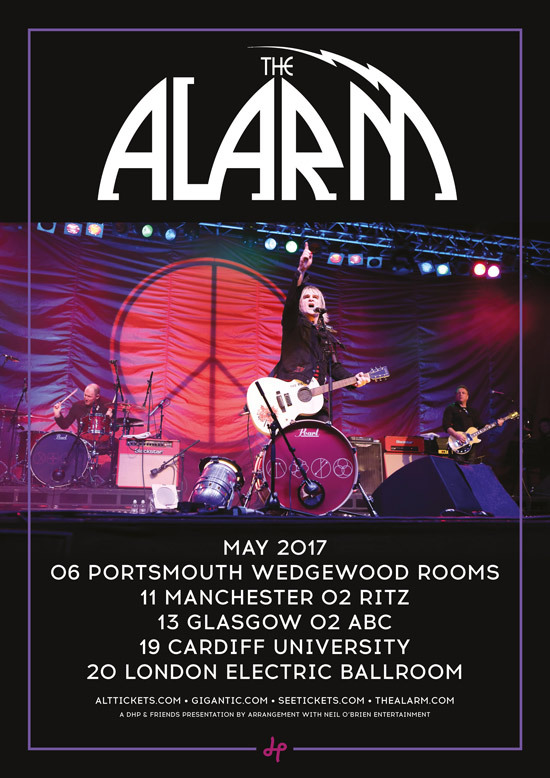 Mike Peters and The Alarm start their long awaited UK tour this Saturday at the Wedgewood Rooms, Portsmouth. The band have just returned from two highly charged US Gathering events in Los Angeles and New York and are now back in the UK all revved up and ready to go. Further dates in Manchester 11th May, Glasgow 13th May, Cardiff 19th May, and London on 20th May, will also be accompanied by appearances at Bearded Theory, Mello and Isle of Wight Festivals before an extensive summer tour of the USA.